Our focus at Specs Around Town Optical Boutique is to give you high quality eyewear and personal service that accommodates your busy lifestyle. 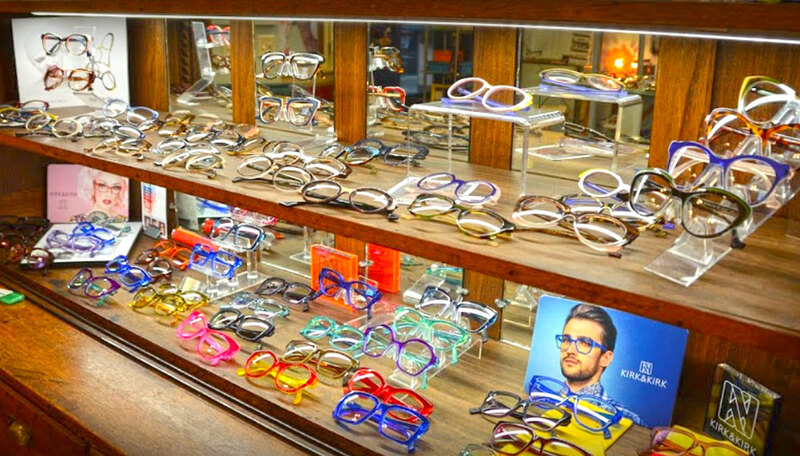 Our niche is an inventory of cutting edge eyewear styles, the latest in optical technology, one-on-one attention and exceeding our customers' expectations by bringing all this to you! 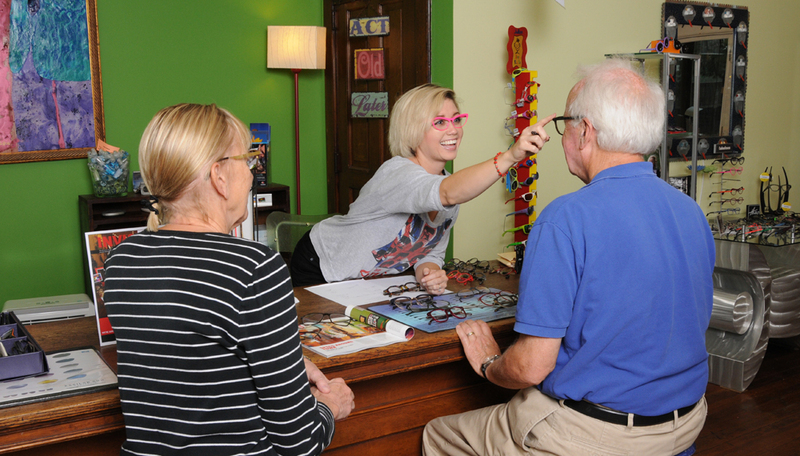 Beginning in 1998 Specs Around Town brought optical services and eyewear to their clients at home, the workplace or wherever a client requested. Owner, Julie Kubsch's bright blue Volkswagen beetle sporting her BUGEYZ4 license plate quickly became a distinct and conspicuous part of the Bloomington-Normal landscape. 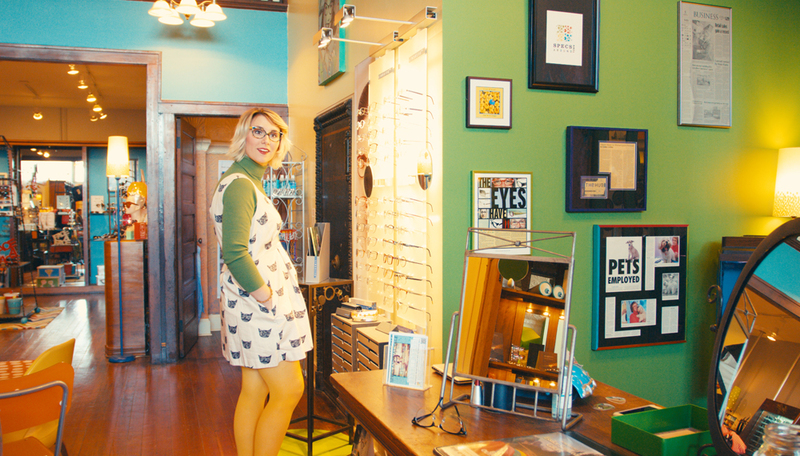 Opening an eyewear boutique has been a continuing dream for Julie. In the fall of 2001 Specs Around Town Optical Boutique opened its doors. 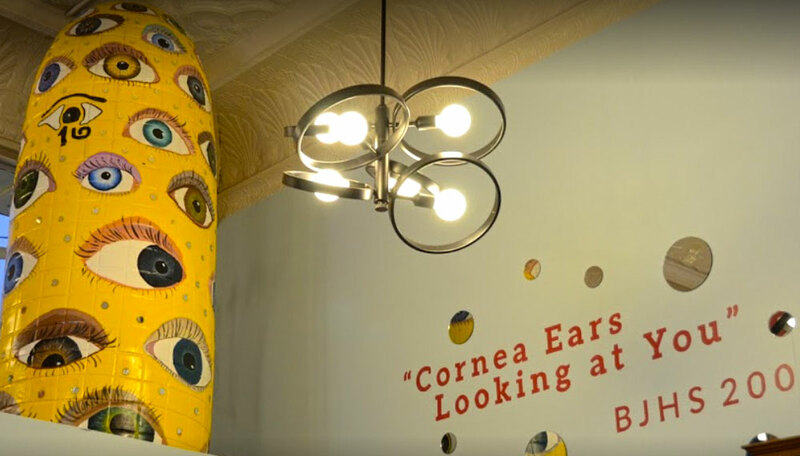 Located in the beautifully restored Emmett-Scharf Electric Co. building, the boutique is an eclectic mix of historical detailing and retro furnishings! Specs Around Town features over 30 eyewear and sunglass collections, many exclusive and not found anywhere else in central Illinois. 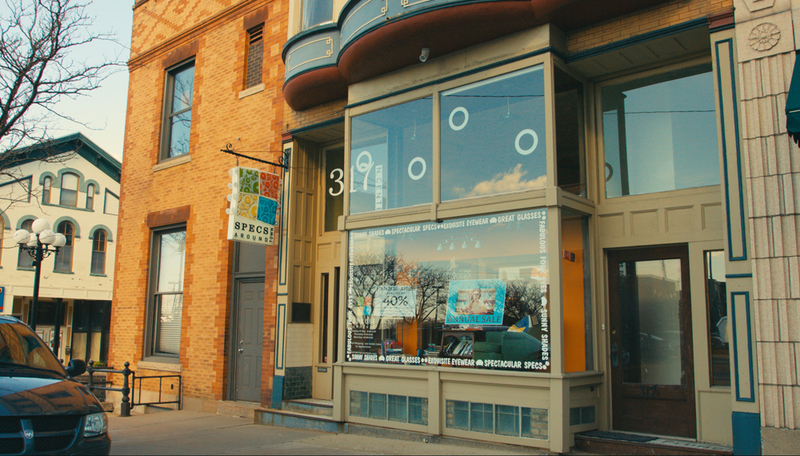 Many of their customers come from Peoria, Springfield, and Champaign IL simply because the selection is unique. The boutique also features jewelry, watches, and accessories. Does Specs Around Town perform eye exams? No. 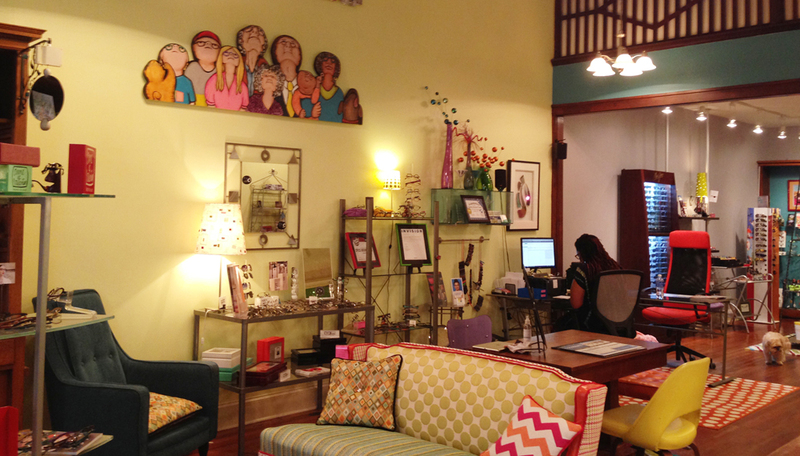 Specs Around Town is a dispensing optical boutique owned by a certified dispensing optician. Eye exams are performed by your eye doctor, who is typically either an optometrist or ophthalmologist. As your dispensing optician, we fill the eyewear prescription your eye doctor writes, the way a pharmacist might fill your medicine prescriptions. I just had my eye exam, but I do not have my prescription, how can I get my glasses from Specs Around Town? Call your doctor and ask for a copy! The FTC regulates the release of prescriptions. The prescription release rule mandates the release of prescription to the patient and prohibits disclaimers or extra fees for the prescription. Then it is up to you to decide who you would like to fill your prescription. If you would like Specs Around Town can call your doctor and request a copy of your prescription for you! Are my Specs Around Town glasses covered by my vision insurance? If your insurance provider allows you to get services from the Optical provider of your choice, you can definitely get your glasses from Specs Around Town. We do require payment in full and then your insurance will reimburse you. Get the eyewear you really want from the Optical Boutique of your choice! Something else to consider: Does your employer offer flexible spending plan or medical expense reimbursement (MER)? At year end, or anytime, don't forget that your accumulated funds can be used to get a second pair of glasses or those prescription sunglasses that you have always wanted. Don't let your money go to waste - if you don't use it you lose it. We welcome out of network VSP and Eyemed vision insurance clients. Gift certificates in any dollar amount from Specs Around Town make the perfect birthday, anniversary, or holiday boss or employee gift. We will customize the perfect gift for you and your pocketbook. Do you offer a referral program or multiple pair discount? Receive a $25 credit with each of your first TWO referrals. Refer THREE NEW clients who purchase eyewear and receive a one-time 20% off any additional purchase from our Boutique including jewelry, eyewear and accessories. You will receive 15% off additional complete pairs of eyewear within 90 days of your first prescription eyewear purchase. 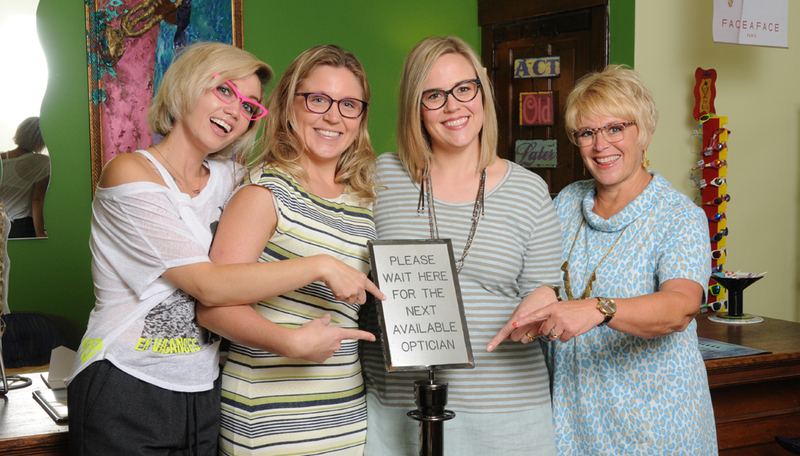 We encourage you to stop by our optical boutique in downtown Bloomington or call us at (309) 82-SPECS.